Is Pain Relief Worth Dying For? When you're in pain, you can feel overwhelmed. Nothing else seems to matter except finding a remedy to make the pain even a little less severe. 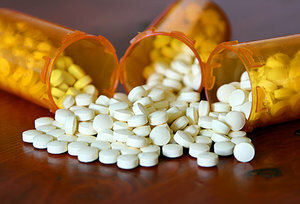 The problem is, pharmaceutical companies have used the media and medical doctors to push pain-relief medications onto patients as the sole solution, to the tune of 259 million prescriptions annually, according to the Centers for Disease Control and Prevention. The problem with that strategy, of course, is twofold: First, relieving pain is important, but it rarely gets to the root of the problem. That means the pain will keep coming back – and you'll need to keep taking pain-relieving medications to keep it at bay. Second, evidence suggests pain relievers might take away the pain in a permanent manner (and not in a good way) – by relieving the sufferer of their ability to feel pain or anything else, for that matter. We're talking about death by painkiller, and the CDC estimates that 46 people die every day from a painkiller overdose. That's nearly 17,000 Americans a year who seek pain relief – and end up dying for it. If you're in pain, don't just turn to the medicine cabinet or a doctor's prescription. Get a thorough evaluation to determine the source of the pain, and then ask about non-drug alternatives like chiropractic care. Pain relief is important – but it's not worth dying for.